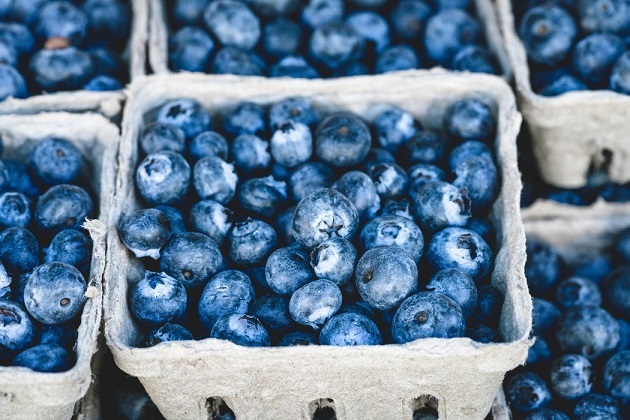 Though Florida is known for its orange and strawberry agriculture, the blueberry industry is rapidly growing each year. In celebration of all of this growth, blueberry festivals in North Central Florida are on the rise too. It's a great way to spend the afternoon and the festivals are family friendly! The Timberline Farm Butterfly and Blueberry Festival celebrates the blueberry and brings a butterfly that houses over 20 species of butterflies. They'll be hayrides, pony rides, a puppet show, farm animals and live music too! It is a two-weekend festival that has three consecutive weekend dates starting April 7. The festival runs from 12-6 p.m. each day. Admission is $8 for adults and $6 for kids. If you’re active military, a firefighter or part of law enforcement you can get in for free! Mom will enjoy the craft fair and jewelry center as Dad feeds the kids endless amounts of sugar with cotton candy or shaved ice. Join the community and pick fresh blueberries, paint your face or meet a monarch at the Timberline Farm Butterfly and Blueberry Festival. Plant City is known for strawberries but their blueberry business is right behind it! Last year was the 10th anniversary of the Blueberry festival and the blueberry industry is still growing. Typically, it’s the grapes that get all the attention at a winery but the Keel & Curley Winery switches things up and makes blueberries the star of the show during this annual springtime festival. This festival offers a one of a kind opportunity to pick fresh and juicy blueberries right from the bush. Along with this Instagram picture perfect experience, they’re putting on a rock show with live music and entertainment paired with limited edition blueberry wines. For the kids and designated drivers, strawberry shortcakes are the next best thing. Children will also enjoy bouncy houses and other carnival games. Last year, there were 15,000 people in attendance and this year they’re expecting more. Blueberry festivals in North Central Florida are on the rise and so many feature live entertainment and things to do for the kids, just like the Keel & Curley Winery! Bostwick Blueberry Festival is serving a breakfast 8 a.m.-12 p.m. that showcases blueberries in all of your favorite forms. Pancakes, muffins and blueberry syrup take the spotlight at this breakfast. It is a cook-off after all! It is a $6 admission fee at the gates but inside they offer blueberry ice cream, homemade blueberry pies, arts and crafts, blueberry and tropical plants, cookbooks and Official Blueberry Festival gear. A library used-book sale and Humane Society adoptions are available at this blueberry festival in North Central Florida as well. There will be live entertainment and blueberry picking all day, from 8 a.m.- 4 p.m. Pets are welcome but are to be kept on a leash at all times. Last year the Florida Blueberry Festival decided to end their tradition of making a stop in Brooksville. However, two townsmen, John Lee and Steve Champion, decided to continue the festival anyway. They are looking for farmers or craftsmen that want to showcase their goods at the festival to join the other vendors that have already signed up to join in on the fun! This year the festival will focus on local artisans, musicians and business people alongside the coveted star of the show: The Blueberry. The FFA alumni will be hosting a dunk tank that will give you an opportunity to dunk your teachers and local politicians. The festival is being held at Hernando Park on April 28th and 29th. Both parking and admission are free. In the past, the Mount Dora Blueberry Festival brought more than 50,000 people to Donnelly Park each spring. It is a celebration of the ever-growing blueberry industry within North Central Florida. Because of the decline of citrus agriculture in much of Central Florida, blueberry fields have begun supplying the growing demand for home-grown berries. This year the event is highlighting local blueberry farms and celebrating all thing blueberry. Yes: pies, wines, fresh berries, scones, pancakes, pastries and, one of the most classic, shortcake. Their annual pie eating contest challenges everyone to eat the most pie in 30 minutes. It is Saturday, April 28th, and Sunday, April 29th from 9 a.m. - 5 p.m.
Last May over 6,000 attendees went to the Bluesfest Blueberry Festival in Gainesville. But for 2018 Bluesfest is featuring more live music and entertainment, a beer and wine gazebo and over 100 acres of fresh blueberry picking. The venue is the Red White and Blues Farm, one of West Central Florida’s best kept secrets that is situated on 100 acres of landscaped farms. There is an open pavilion with picnic tables to enjoy your favorite blueberry treats. From blueberry shortcake and blueberry pancakes to blueberry candies and popcorn, there is sure to be something for everybody. Check out the general store for everything blueberry and much more! The headliner entertainment this year are FireCreek, The Backseat Disciples, and The Real Teal. So stop by one of these wonderful blueberry festivals in North Central Florida and celebrate this growing industry and have a fun day too! Bring your kids, bring your sweetie or some of your friends, there is something for everyone at these popular festivals. For more fun things to do in North Central Florida check out 352area, your subscription is always free!